Whether attacking brown-butter cauliflower with a steak knife or sucking crawfish heads, F&W's Kate Krader stops at nothing to find the best flavors in America's newest capital of great food. Unlike the New York delis I’m familiar with, this one is vast and bright, with a friendly staff. And the overstuffed chicken sandwich is super. 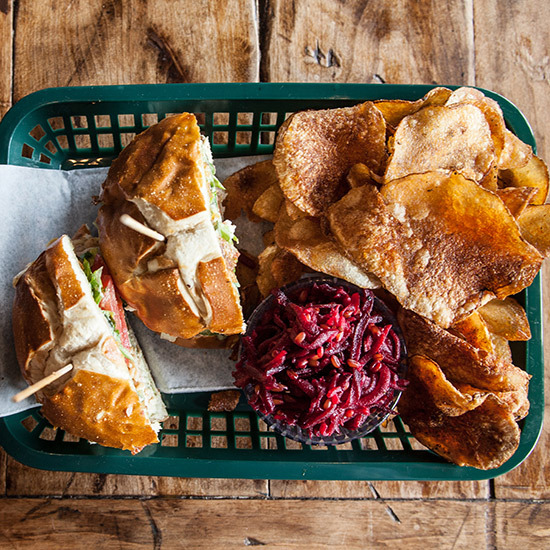 Chef Dylan Murray adds crunch with pulverized nuts and potato chips. houstonlocalfoods.com. When I bought my molasses-flavored daiquiri at this new horseshoe-shaped bar, I got to vote for which Houston charity OKRA should support that month. (All the bar’s proceeds go to the winner.) friedokra.org. I got a tip from barbecue guru Daniel Vaughn to specify “fatty side” when I ordered the sliced brisket at this shack, a 15-minute drive from downtown. He was so right: The meat is unctuous, tender and just smoky enough. 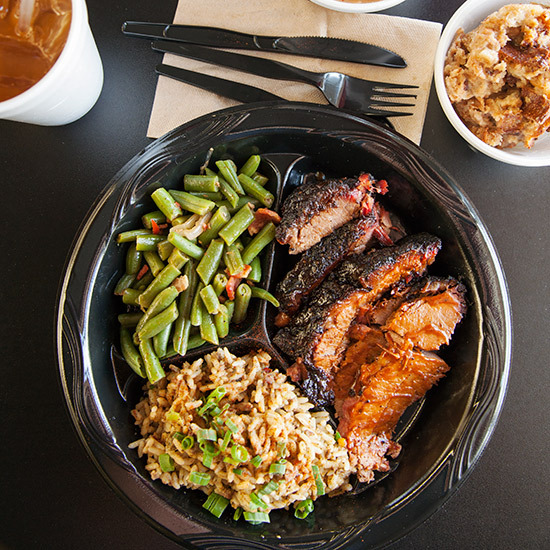 gatlinsbbq.com. Chef Aquiles Chávez has dreadlocks and an extravagant mustache; he’s a celebrity in his native Mexico. 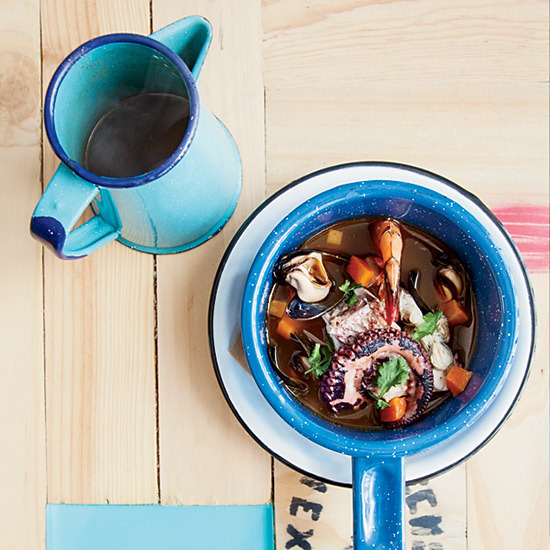 At his colorful new seafood place, the key to his vuelve a la vida soup is the superrich shellfish-and-chile broth. lafisheria.us. 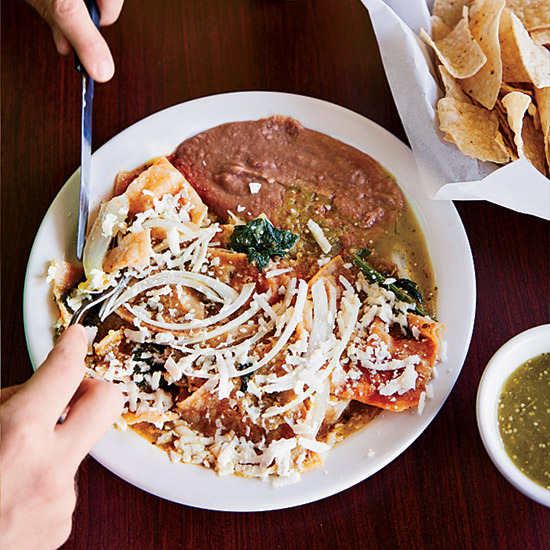 On weekend mornings at this cheap Tex-Mex spot, you will see chilaquiles (crisp tortilla chips simmered in salsa) on nearly every table. You have a choice of red or green salsa; I vote for the tangy, garlicky green. 2109 Dunlavy St. In Houston, I ate a ton of meat. Boy, was I happy to find vegetable hero Justin Yu at Oxheart. There’s always a $49 garden menu at his tiny prix fixe restaurant. 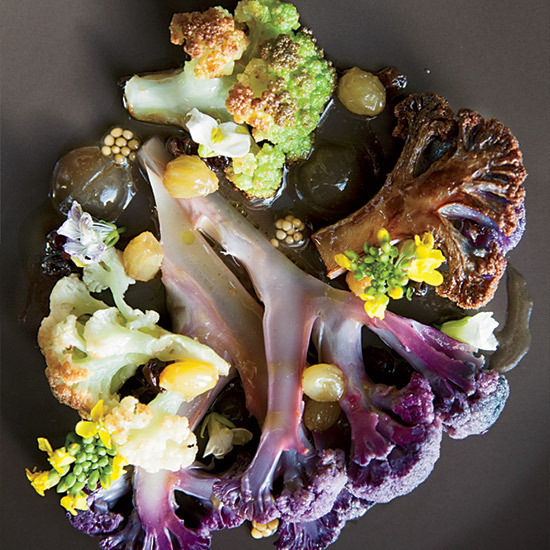 The terrific main course featured a rainbow array of cauliflower, steamed over hay and roasted in brown butter. Proof that Yu takes his vegetables seriously: the hefty steak knife that came with the cauliflower. oxhearthouston.com. I’d heard of Vietnamese-Cajun food but never tried it before I walked into this warehouse-size, no-frills Asia Town spot (there’s a roll of paper towels on each humongous table). 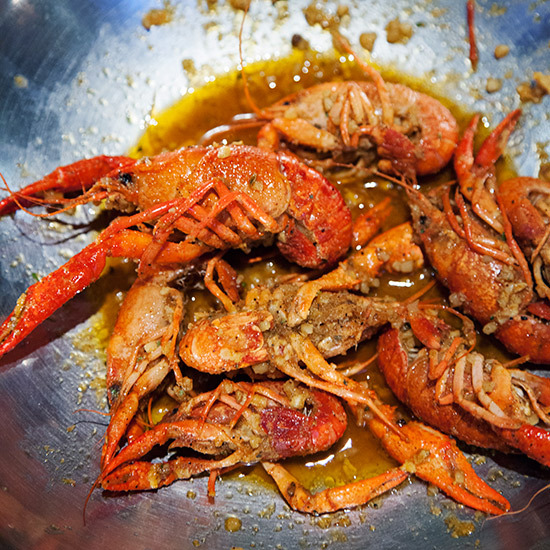 Noodles are part of the restaurant’s name, but everyone goes for the crawfish—ordered by the pound, delivered in a stainless steel bowl and drowning in Cajun-spiced butter. 11360 Bellaire Blvd. 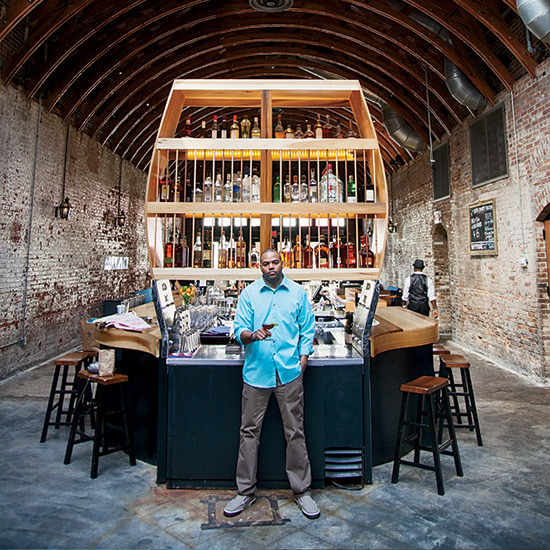 Chef Chris Shepherd, who calls his lively restaurant “The Story of Houston Food,” pays homage to the diverse cuisines in his city, particularly Vietnamese. 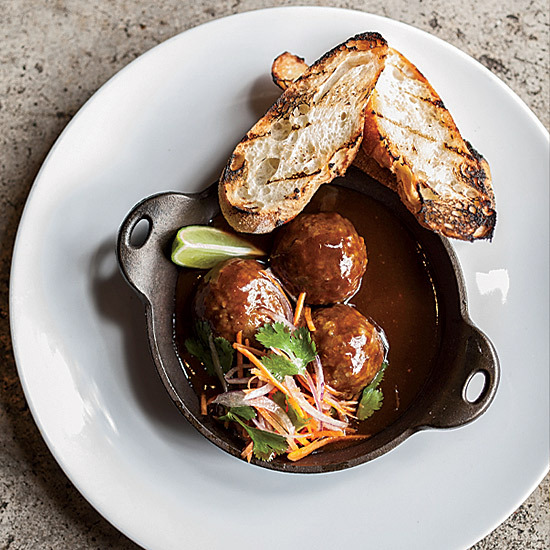 His succulent meatballs are inspired by a little-known beef stew called banh mi boko; the intense gravy is made with house-aged fish sauce. underbellyhouston.com. Indian breakfast isn’t something I craved before I discovered Pondicheri. I’m indecisive, so this thali (a selection of small dishes) is perfect for me. 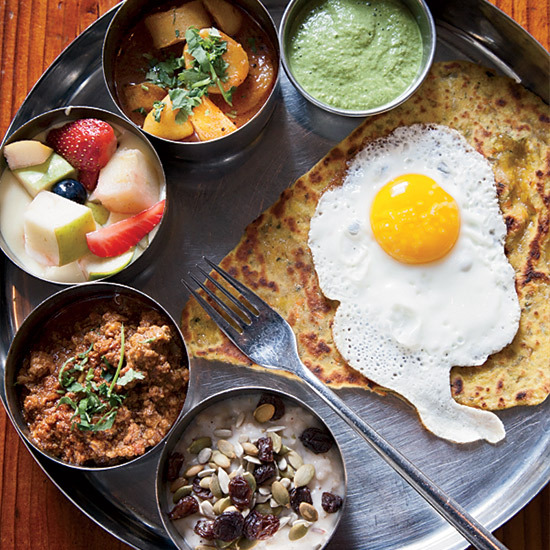 I don’t have to choose between potato curry, gingery beef keema curry, uppma (a hot savory cereal made with Texas grits), egg-topped, fried carrot paratha (bread) and cilantro chutney. I get to have them all. pondichericafe.com. “We were playing around with caviar service,” says co-chef Seth Siegel-Gardener. 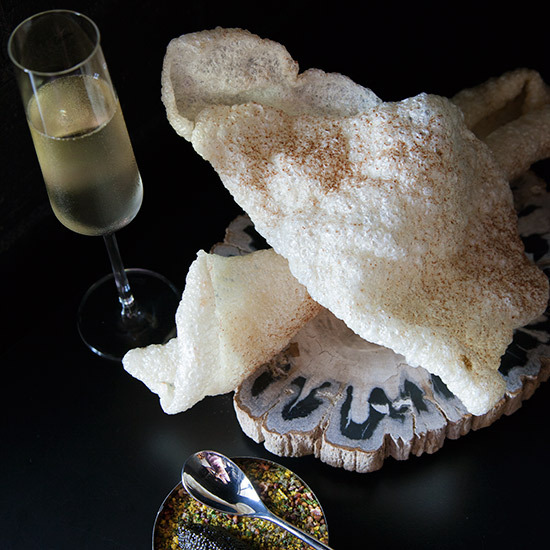 “And then one of us just said it: Let’s replace the blini with a giant chicharrón.” At their luxe restaurant, he and co-chef Terrence Gallivan top the gargantuan fried pork rind with “ham dust of the day” and serve it with a tin of layered hasselback caviar, crème fraîche and dehydrated capers and eggs. passandprovisions.com.